CoolSculpting is a safe, proven and effective non-surgical fat-freezing (cryolipolysis) procedure that uses controlled cooling cup technology to freeze, crystalize and eliminate stubborn fat cells that can persist despite all diet and exercise efforts. 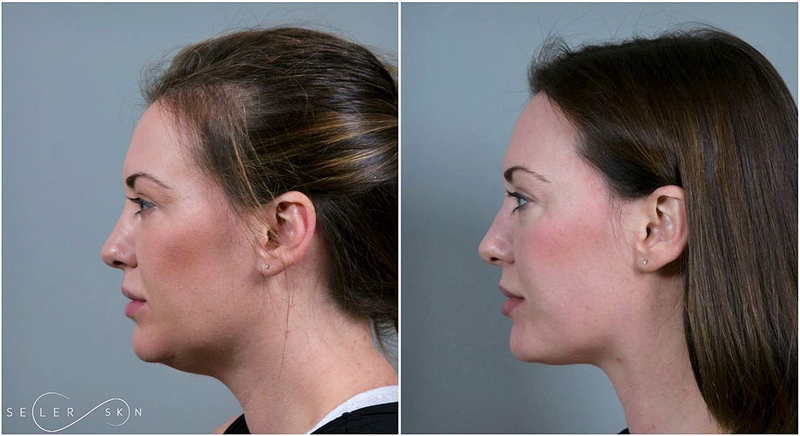 This FDA-cleared procedure requires minimal to no downtime, is easily tolerated and produces amazing results. As opposed to other lasers and devices that use heat (Sculpsure, Vanquish, Zerona, etc. ), which target all types of tissue and cause necrosis (unnatural, instant cell death), CoolSculpting uses freezing to selectively target fat cells and causes apoptosis of the cells (stimulates the body’s natural cell removal process). The creators of CoolSculpting discovered the power and potential of freezing fat after learning of a medical condition called “Popsicle Panniculitis.” They found that young children who ate a high number of popsicles were losing cheek fat without other tissue damage. This observation led them to begin research into the process of freezing fat, and ultimately resulted in the pioneering of this technology. Why come to Seiler Skin for CoolSculpting? The success of your CoolSculpting treatment is fully dependent upon two things – the quality of the device used, and the experience of the administering practitioner. At Seiler Skin, we have two of the newest, most advanced CoolSculpting devices on the market with all the available applicators (sizes) which allow practitioners to select the perfect size to sculpt each treatment area. This allows us to provide “DualSculpting,” and treat multiple areas at the same time – reducing the total cost and overall treatment time. Since CoolSculpting was approved by the FDA in 2010, the science behind this treatment has continued to evolve and, as a result, the device itself has been improved significantly over time. Not only have these advancements improved results, they have also maximized the overall comfort level of treatment. It is very important that every patient is seen by the medical physician prior to receiving CoolSculpting. At Seiler Skin, Dr. Seiler and his highly trained team will provide an honest evaluation and create a customized treatment plan to help you achieve your desired results. Because Dr. Seiler is surgically trained and educated in all fat-reduction options (non-surgical and surgical), you can feel confident in his recommendation of CoolSculpting for you. Additionally, all practitioners at Seiler Skin are Certified CoolSculpting Applicators. Patients of any age and skin type/color (including darker-skinned patients) can greatly benefit from CoolSculpting! It’s important to remember – CoolSculpting should not be looked at as an aggressive weight-loss program, but rather viewed as a powerful tool designed to remove localized, “frustrating” stubborn fat. CoolSculpting can also help to optimize results after surgical procedures, such as liposuction (traditional and laser lipo), abdominoplasty (tummy tuck) and other body contouring procedures. This also includes correcting post-procedure irregularities, such as uneven fat removal or small pockets of remaining fat. CoolSculpting is a very safe, tolerable and effective treatment. Many patients are often surprised to learn that the treatment itself is actually not cold, but quite cozy and comfortable. During the first two minutes of treatment, you will feel a slight suction sensation after the applicators are activated. This feeling dissipates quickly, and you will likely forget the applicators are even attached. Depending on the number of areas addressed, you may spend up to several hours with us. Many patients use this time to enjoy a good book, show or movie on their iPad or receive other services from the Seiler Skin staff (HydraFacial, chemical peel, Dermaplane, Botox, etc.). Once the applicators are removed, the practitioner will perform a quick, two-minute manual massage on the treated area to break up the fat cells and improve elasticity (up to 67 percent compared to no massage). What is the downtime after CoolSculpting? 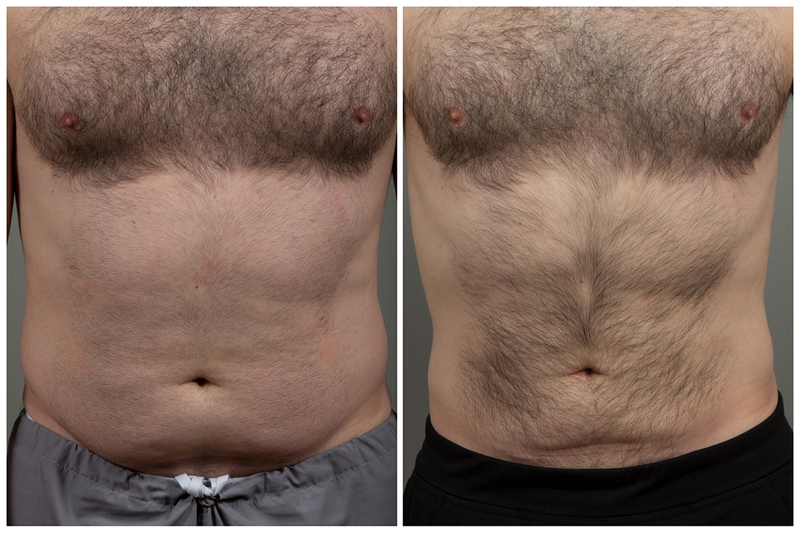 Unlike liposuction, there is no significant downtime after CoolSculpting – patients can walk right out the door after the treatment ends and continue normal activities. No post-procedure garments or dressings after required. You may experience some slight discomfort or experience a mild tingling sensation in the treated area, but patients report this is very tolerable and temporary. You may also experience minimal bruising or redness in the skin, which will go away after a few days. The bottom line is this – our patients tell us that CoolSculpting is easy and effective. 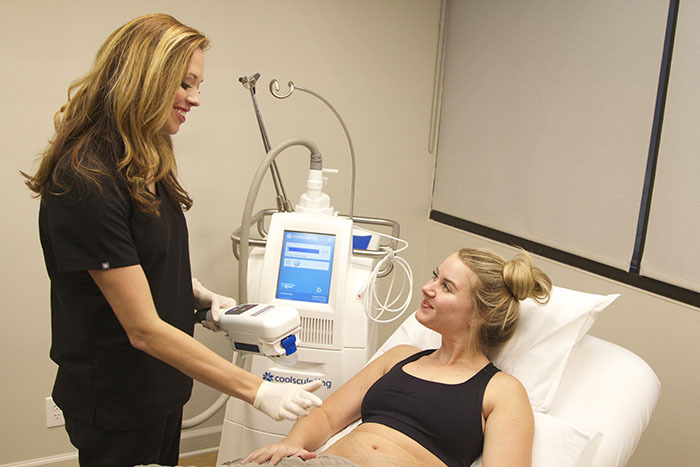 CoolSculpting permanently removes hard-to-lose fat, and results generally peak three to four months after treatment. Although not guaranteed, some patients may notice visible skin tightening in addition to fat loss. Many of our patients report seeing initial results as early as three to four weeks after treatment. Depending on your specific concerns, multiple treatments may be recommended to produce desired results. What is the price of CoolSculpting? It’s important to know that ALL practices who offer CoolSculpting sign a binding agreement with the manufacturer requiring them to provide patients with a standard treatment price. We are allowed to offer package-pricing discounts for multiple areas and successive treatments. Our team will discuss this in-depth with you during your consultation.